Atrial Fibrillation and Atrial Flutter: Cause and Effect? About Atrial Fibrillation and Atrial Flutter…are they linked? Does one precede the other? Can one procedure fix both? Can a typical catheter ablation fix both Atrial Fibrillation and Atrial Flutter at the same time? Can Maze surgery or Mini-maze surgery fix both? In general, Atrial Flutter originates in the right atrium and Atrial Fibrillation in the left atrium. Maze/Mini-maze surgical approaches typically don’t access the right atrium, and therefore can’t fix A-Flutter. Maze/Mini-maze surgical approaches typically don’t access the right atrium, and therefore can’t fix A-Flutter. If you have both A-Fib and A-Flutter, a Maze procedure usually needs to be followed by a catheter ablation to fix the Atrial Flutter. A catheter ablation procedure for A-Flutter is relatively easy and it’s highly successful (95%). It usually involves making a single line in the right atrium which blocks the A-Flutter (Caviotricuspid Isthmus line). If you are having a catheter ablation, many doctors make this Caviotricuspid Isthmus ablation line while doing an A-Fib ablation (in the left atrium)—even if you don’t have A-Flutter at the time. Catheters enter the heart through the right atrium. At the beginning of a catheter ablation for atrial fibrillation, doctors enter the heart through the right atrium. While there they may elect to make the right atrium ablation line at this point which takes 10-20 minutes. Some say one should “do no harm” and not make this right atrium ablation line if there is no A-Flutter. Saying it can always be done later in another catheter ablation at little risk to the patient. 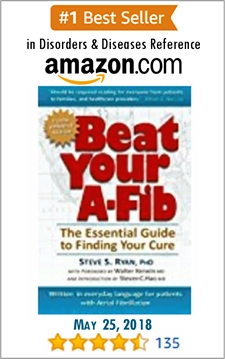 Research: Are A-Fib and A-Flutter Linked? 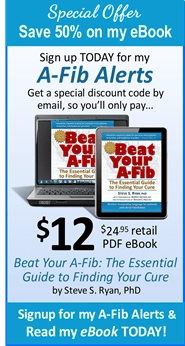 While you can have A-Flutter without A-Fib, more often than not, they are linked. 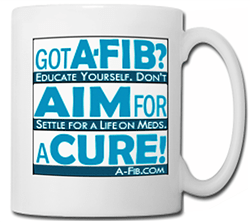 When you have A-Flutter, A-Fib often lurks in the background or develops later. 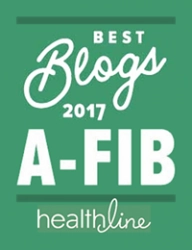 Patients did much better if they had an ablation for both A-Fib and a A-Flutter at the same time even though they appeared to only have A-Flutter. Some A-Flutter may originate in the left atrium, or the A-Flutter may mask A-Fib which may appear later after a successful A-Flutter ablation. As many as half of all patients ablated for A-Flutter may later develop A-Fib. 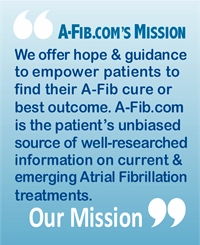 In a small research study, patients did much better if they had an ablation for both A-Fib and a A-Flutter at the same time even though they appeared to only have A-Flutter. But right now we can’t say for sure if one causes the other. We do know that A-Flutter usually comes from the right atrium, while A-Fib usually comes from the left atrium. 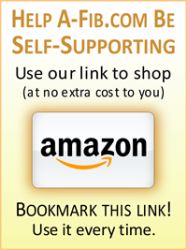 Kaarisalo, MM, et al. Atrial Fibrillation and Stroke, Mortality and Causes of Death After the First Acute Ischemic. Stroke. 1997; 28: 311-315 doi: 10.1161/01.STR.28.2.311 http://stroke.ahajournals.org/cgi/content/full/strokeaha;28/2/311.